Ce soir, 20h25, sur la 2ème chaîne hollandaise (NPO 2), un documentaire sur le programme du F-35, vu du côté des Pays-Bas. Nice flyin in a very nice place in the Belgian Ardennes. Le Caïman quitte le tarmac de la base de Coxyde. Le mercredi 8 avril 2015, la Composante Air belge organisait sur la base aérienne de Beauvechain la huitième édition de son « Job Day ». Cette journée permet aux jeunes de découvrir les possibilité de recrutement, les opportunités de carrière, et la variété des métiers ou des postes à pourvoir dans le secteur de l'aviation militaire au sens le plus large du terme. On Wednesday 8 April 2015, the Belgian Air Component has organized,on Beauvechain Air Base, its "Job Day", 8th edition. This day gives an occasion to the youth to discover not only the recrutment possibilities but also the career opportunities and the variety of works or the provided posts in the military aviation field to its largest term. Given the fact that the first Catalina flew in South Africa in 1943/4 during World War Two, a historical and exciting (but also sad) event is about to unfold at Rand Airport, Germiston, South Africa. 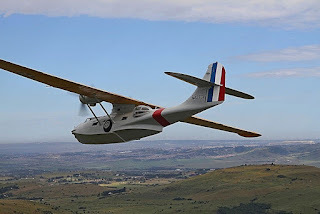 Most likely the very last PBY Catalina in South Africa is about to start its post-restoration test flights before leaving for the USA, to be delivered to its new owner, Mr. Jim Slatttery in San Diego, CA. 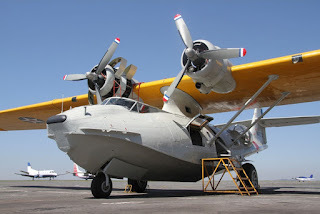 For the last six years, Consolidated PBY Catalina N427CV, Serial No 11089, underwent extensive restoration at Springbok Aviation Services' facility in Hangar 5. 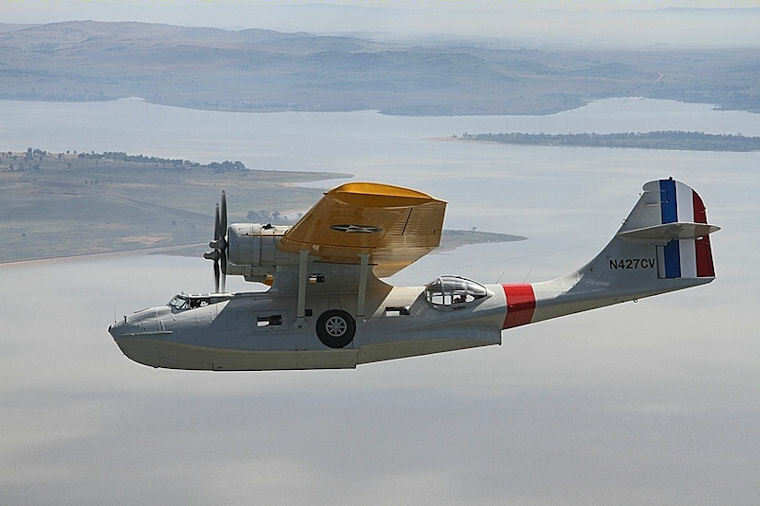 The Consolidated PBY Catalina was designed and first flew in March 1935 as a long-range naval reconnaissance aircraft. It proved itself to be very successful in this role as well as many others, such as in air-sea rescue, and submarine hunting. 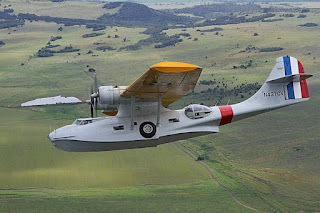 After World War Two it became active in forest fire fighting, flying as water bombers, a role which N427CV fulfilled until its final retirement in 1993. 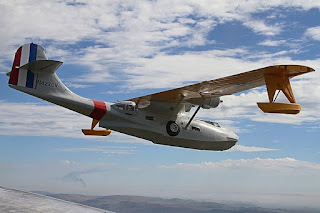 Numerous PBY's were seen in South Africa over the years as surveying aircraft, flying around with huge antennae, searching for minerals for the big mining companies. The long, thin wing (high aspect ratio) results in a relatively slow cruising speed, 85 - 105 knots (depending on the weight and power setting) but very efficient recognizance aircraft. 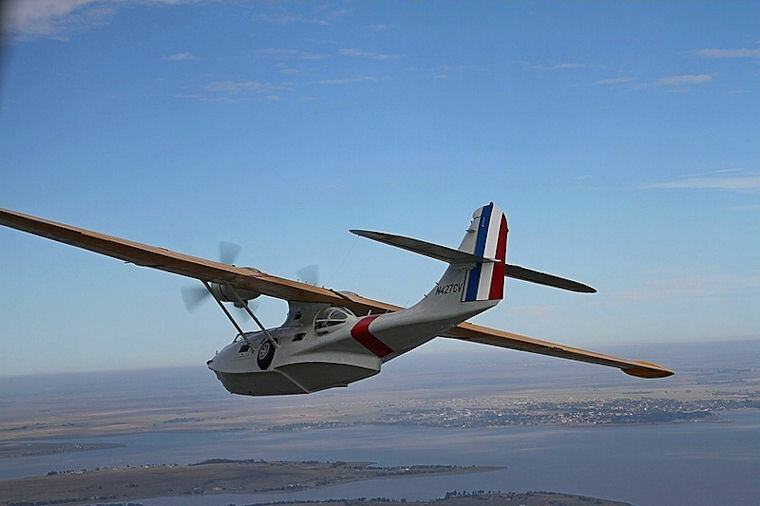 With a fuel capacity of over 6,000 liters the endurance of the PBY is nearly 20 hours at lower power settings. Various models of the Catalina were built, the most common of which was the PBY-5A, which was the amphibian version, of which N427CV is one. 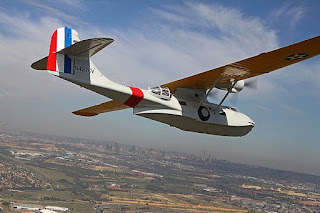 The South African Air Force operated some PBY-5's (not amphibian) from amongst others, the Durban harbour, during WWII. They were hauled onto shore on purpose-built dollies for maintenance. More than 7,500 PBY's were built in the USA and Canada during WWII. N427CV, Serial No 11089 was built by Consolidated in Canada by Canadian Vickers, in Montreal as a Canso A / 2F CV 427. It was first taken on strength at Eastern Air command on 3 June 1944 - delivered new into storage. It then served with No. 162 (BR) Squadron, in Iceland, coded "C", from 27 September 1944. At the end of hostilities it went into storage with EAC on 21 September 1945, reported serviceable on that date. On 2 February 1946, it came out of storage and was issued to RCAF Station Dartmouth, NS on 1 May 1946, with No. 435 (T) Squadron, RCAF Station Edmonton, Alberta, in August 1946. Shortly after this, on 22 August 1946, it rescued the crew of RCAF vessel "Beaver", after it had run aground near Cape Jones, Hudson's Bay. On 13 June 1950 it was assigned to RCAF Station Sea Island, BC and to No. 121 (CR) Flight at Sea Island May 1956 to October 1961. In November 1961 it went to RCAF Station Lincoln Park, Alberta for storage. It was made available for disposal from August 1962. Shortly thereafter it was sold to the Quebec Department of Transportation and Communications where it flew as C-FPQO until 1992, when the aircraft was sold to Pro Air Aviation of Bonsecours, PQ. 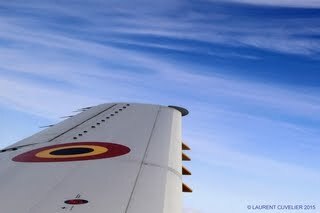 It was during the period with the Quebec Government that it served as a water bomber, fighting forest fires. On 6August 1999 it was sold to Antares Air Services of Oshawa, Ontario, a registration which was cancelled in 2001. 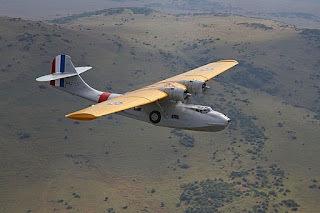 Mr, Manual Roque, an Angolan gentleman purchased the aircraft and had it ferried to South Africa under the registration of 3D-PBY, a Swaziland registration. It was used for a commercial at Vilanculos in the early 2000's and then flown to Rand Airport, Germiston in South Africa. It became derelict and after six years was purchased by Mr. Steve Hamilton and John Seibold, two aircraft collectors from the USA. They then commissioned Springbok Aviation Services to completely restore the aircraft. An extensive restoration started in 2006. 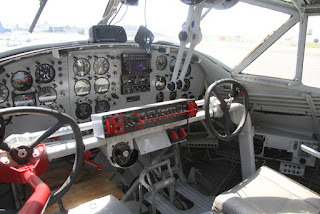 The aircraft was completely disassembled and restored from the airframe up. Extensive reconstruction of the centre wing section followed after corrosion was discovered in the upper areas of the fuel tanks. 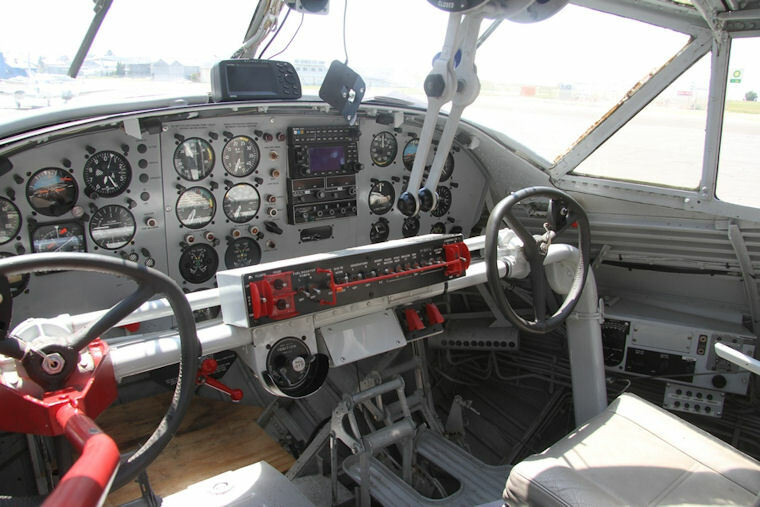 The aircraft was ready to fly by mid-2011, but changed ownership in the US the end of 2011 and is now owned by Mr. Jim Slattery, another keen aviation collector of San Diego, California. A requirement by the new owner to operate the aircraft in the public category in the US, dictated additional modifications to the aircraft. A new rudder, ensuring better directional control, strengthened floor attachments for the passenger seats, additional emergency exit and watertight bulkhead doors had to be fitted. Springbok Aviation Services, one of Capt Flippie Vermeulen's family businesses at Rand Airport, executed and managed the bulk of the restoration process. Some specialized work was contracted out to local specialists at Rand Airport, such as Aircraft Rebuilders. 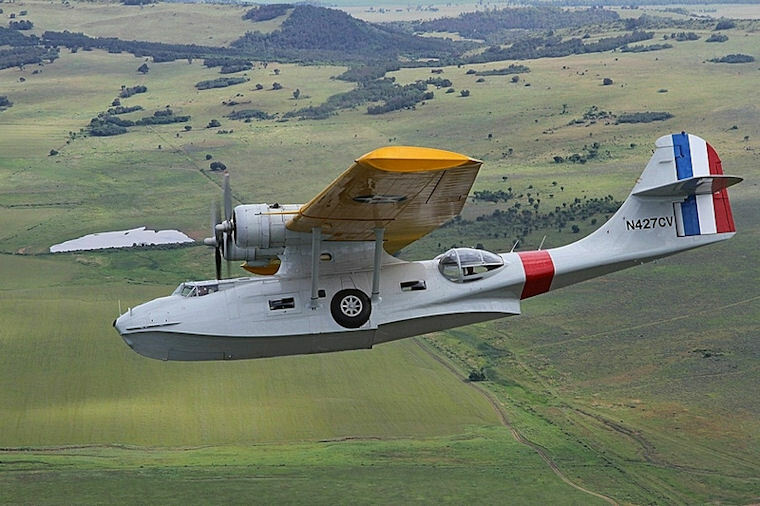 It is expected that, subject to the conclusion of a successful test-flight program, the aircraft will depart for the US during early December, finally ending an association of 69 years with the PBY Catalina. 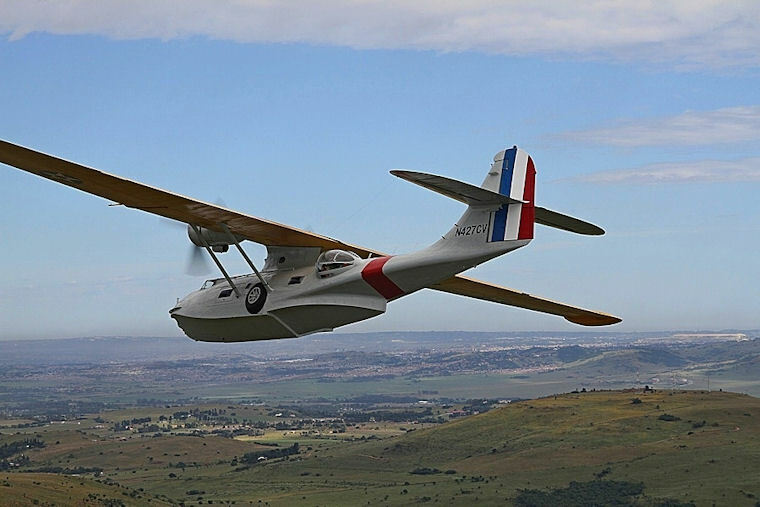 Sadly, it will most likely be the very last time a Catalina will ever be seen in South Africa. Les remplaçants des gros hélicos au nez rouge pour le sauvetage en mer sont prêts. Huit ans après la signature du contrat d’achat, en 2007, l’armée belge a déclaré vendredi opérationnels ses trois premiers hélicoptères de type NH90 en version navale (NFH), qui remplaceront totalement d’ici fin 2018 les vénérables Sea King - les gros appareils au nez rouge familiers à la Côte - dans le rôle de recherche et sauvetage ("Search and Rescue"). Another P-38 about to fly!!!! Je cherche un Piper Cub L4 ou L5 Stinson avec pilote, immatriculé US Army 1944, pour survol de Dour à basse altitude le 20 Septembre. Tu n' aurais pas ça dans tes relations? N' importe quel autre zinc (chasseur) US 1944 ou RAF ferait aussi l 'affaire. Durée de la prestation 30minutes ( take off/landing). On vous parle toujours de la Réplique à l'échelle 1/1 du Renard R-31. Mais en fait, connaissez-vous les bénévoles qui sont à l'origine de cette construction ? Voici quelques photos de cette belle équipe. The Classic Air Force charity in Coventry is selling five historic planes at auction, including the cousin of the Lancaster bomber and the first jet to cross the Atlantic - all part of an incredible lot. Video: "Voltige Aérienne, Namur, SV4." Video: "Air Crash Sabena In Newfoundland (1946)"
Video: "Opening Of The Brussels Heliport (1953)"
Video: "Sabena Boeing 707-329 Promo Film - 1960"
Video: "Whirlwind Fighter Squadron (1943)"
Video: "Westland Whirlwind | 263 Squadron RAF"
Video: "Belgian King At Air Display (1964)"
Bande Annonce "Le petit prince"